At Skin City Laser we make it fast and painless as possible using the latest industry technology. So why does tattoo removal hurt? This is a client at Skin City Laser. She has had 10 Tattoo Removal sessions over the last year and a half. I am sure if we aked her, she would say tattoo removal hurts. It hurts quite a bit if we are being honest. If you asked me though, I would also say getting a tattoo hurts also. So I guess it all relly depends on how much we want, or don’t want something. Ice is used to reduce the pain. We always ice the area before lasering it. The cold helps to reduce the pain and also assists in reducing any inflammation. We did her first few sessions over the first 6 months spaced 6 to 8 weeks apart. That is about the time you start to see the Tattoo Removal actually working! You don’t see results right away so it can be frustrating. But once the body starts to absorb the ink the process gets faster and the results become more dramatic the closer you get to complete removal. Everyone is different and everyone reacts differently to laser tattoo removal treatments. Also you have to consider that everybody was likely tattooed by a different artist with different inks. 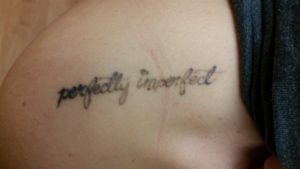 So the only consistent thing in the tattoo removal process, is that everyone is going to get somewhat different results. When we got to the fourth session, we started spacing her sessions out to 8 weeks in between for the next 3 treatments. Once the ink is broken up well, it is better to space the sessions out another week or two toward the end of the removal process. This way you don’t have to come as often and your tattoo removal process is almost finished. 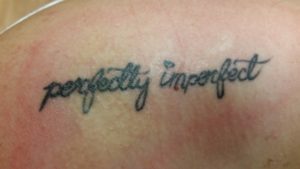 You can see by the pictures that the artist dug in much deeper on the first three letters of the tattoo than they did on the rest of the wording. When you look at the last picture before today’s video you can see how much darker those first three letters still are. 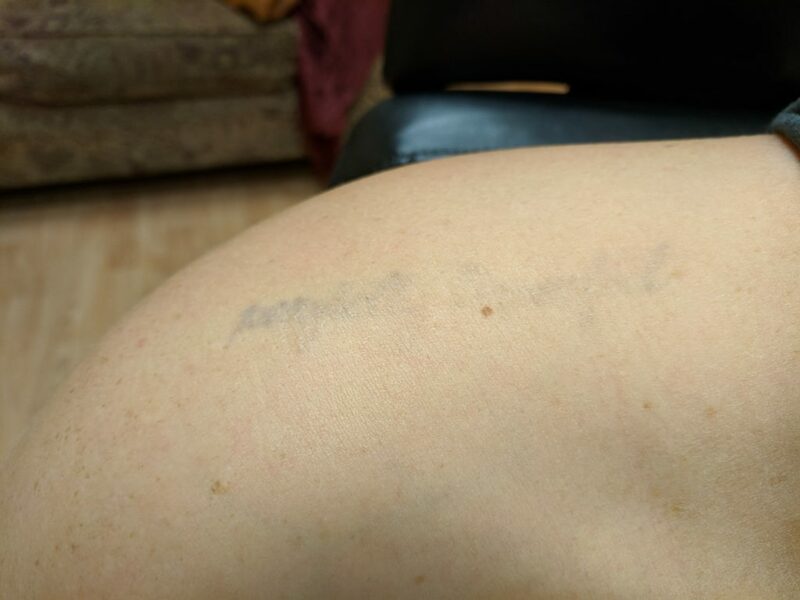 One of the cool things with Tattoo Removal is that you see exactly HOW the tattoo was inked by the way it comes off.